Now that Mark Zuckerberg controls your hipster, vintage-inspired photos that you took with Instagram, you might be feeling weighed down with the fear that your favorite photography app will see some major changes. I cried for a few minutes, then I realized that I never used Instagram to edit photos because its filters were actually very limited and pretty crappy. There’s tons of better apps out there. If for whatever reason you’re scared to stick with the new Instagram controlled by Facebook, there are plenty of alternatives to Instagram… and in many ways most of them are better. 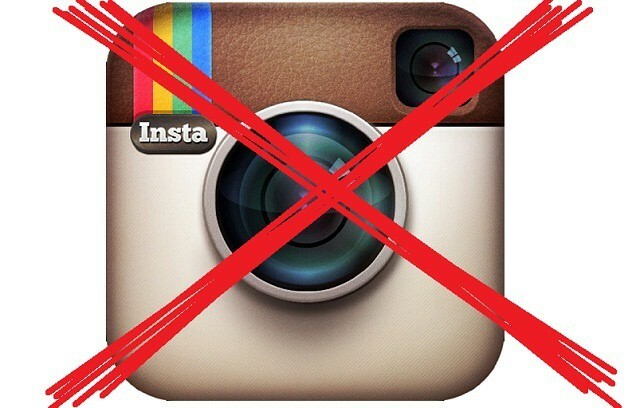 Take a look at these five awesome Instagram alternatives. If you want to make your photos look great, there’s no app that I’d recommend more than Snapseed. Yes, the app has a bunch of vintage filters if you’re into that sort of thing, but there are so many ways you can edit your photos using Snapseed beyond mere filters. Selective Adjustments are a key feature that really separate Snapseed from competitors because it allows you to take complete control of your photos. There are even OS X and Windows versions of the app so you can use it on your preferred platform. 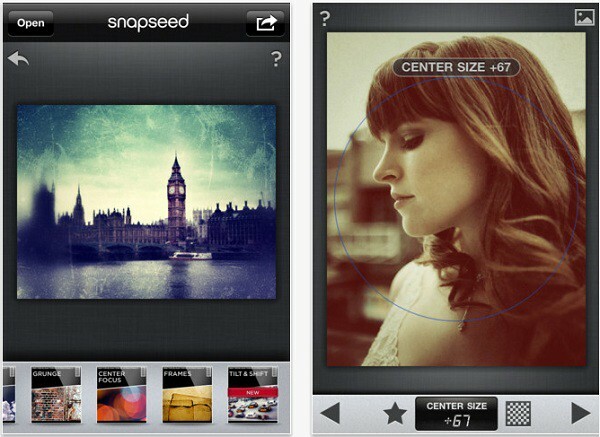 Don’t let the $4.99 price tag scare you away because Snapseed for iPhone or iPad is worth every penny. Before Snapseed there was Camera+. Its photoediting features are a lot better than Instagram’s, and even though it’s not as fully featured as Snapseed, you might like it more because it’s cheaper and bit easier to use. Other than the great filters provided, the best thing about Camera+ is the ability to capture photos by setting the exposure at a different point than the focus (something most camera apps don’t let you do). For only $0.99 Camera+ might be the most cost effective Instagram alternative. 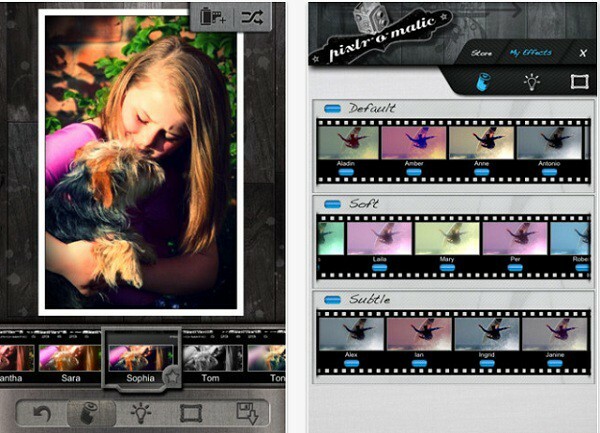 It used to be Instagram’s biggest rival but many feel that Hipstamatic lost the war. That doesn’t mean you can’t get better images from Hipstamatic than Instagram though. The beauty of Hipstamatic is that you can completely customize your camera to take unique pictures. With Hipstamatic you can change your virtual lens, film, or flash to find your own unique take on photography. Share your photos with other friends right in the app, or export them to your preferred social network. 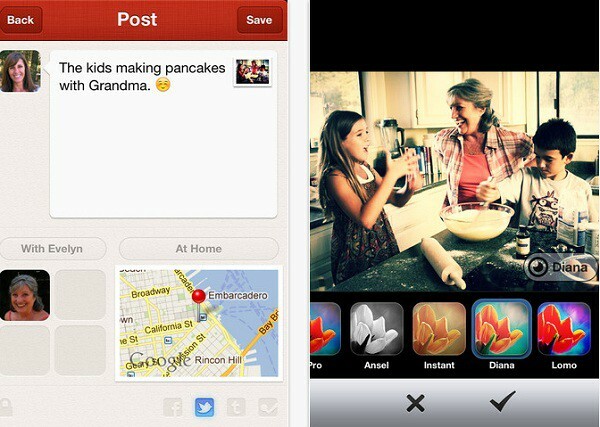 While Path isn’t necessarily a true competitor to Instagram, it has many of the same features. You can capture photos in the app, apply filters, export them to other apps, or post them on your stream for friends to view. Most of the privacy concerns surrounding Path have been resolved, and it offers a very intimate approach to sharing. Rather than imploring you to build an army of followers, Path strives to keep things intimate by sharing photos with the people you care about most. The photo-editing features aren’t as good as the other apps mentioned here, but as a social network it is argueably a better experience than Instagram. 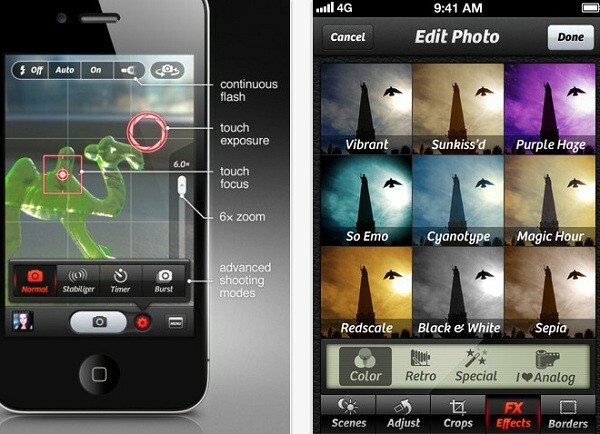 This is the best photo editing app you can get on the iPhone for free. It works really well and rivals Camera+ in the features department with a number of great vintage filters that will give your photos a unique look. Extra packs of filters only cost $1. Like Snapseed, it’s available on multiple platforms so you can get the same experience no matter what device you’re on.